The accommodation at The Old Homestead is first class. 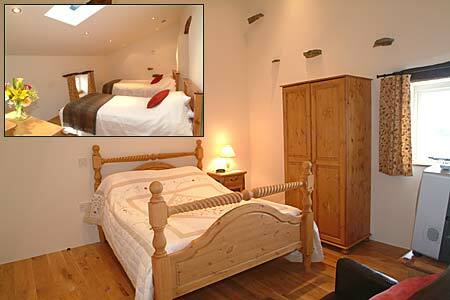 All rooms are bright and airy, each with en-suite facilities and underfloor heating. 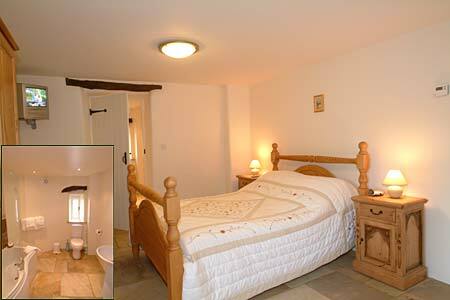 The property has been sympathetically restored with many of the rooms having exposed beams. The oak furniture and easy chairs and sofas were chosen to compliment and reflect the style and quality of the rooms. For more images from around the property see our Gallery page. The Kitchen The kitchen is spacious and functional, easily capable of producing a cooked breakfast or an evening meal for 25 (with a little help from you!) It comprises a Rangemaster with double oven, grill and 6 hotplates, Dualit 6-slice toaster, large micro-wave, full-size dishwasher, 2 kettles, assortment of pans and crockery, glassware and cutlery. Adjacent to the kitchen there is a Utility room with Miele washer/dryer, vacuum cleaner, iron and board, cot, high chair and a disable-friendly loo. Master’s Room King-sized large room full of character with 2 windows overlooking the fells, bespoke four-poster bed crafted locally by Danny Frost from oak and cherry grown on next doors farm. 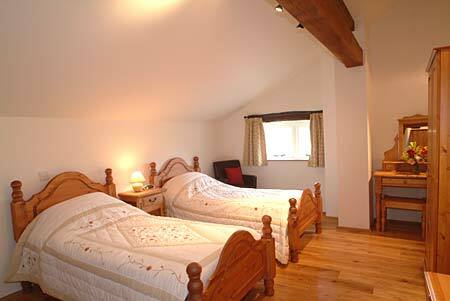 The room is full of character with 2 windows overlooking the fells. 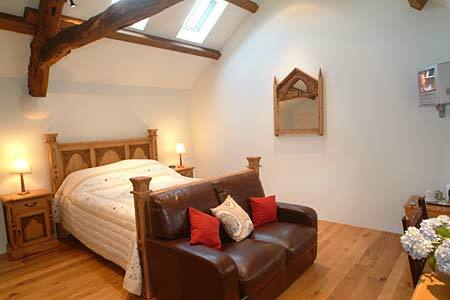 Vaulted ceiling with ancient oak timbers, solid oak floors with underfloor heating. Comfortable sofa, coffee table, tv, radio alarm clock and hairdryer. En-suite bathroom also with character has bath and overhead shower, bidet, wc, basin, mirror with shaver point. 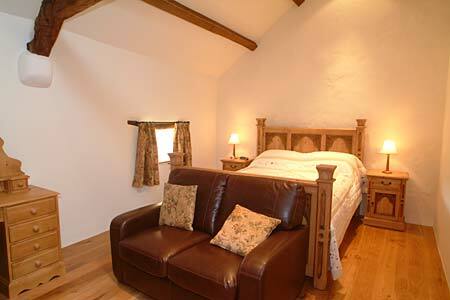 Cruck 2 Large, very light king-sized room with window overlooking the fells. Oak cruck beams in high vaulted ceiling. Large comfy bed and sofa, tv, radio alarm clock and hairdryer. Solid oak floor with underfloor heating. En-suite bathroom with oak beams, bath with overhead shower, basin, wc, mirror and shaver point. 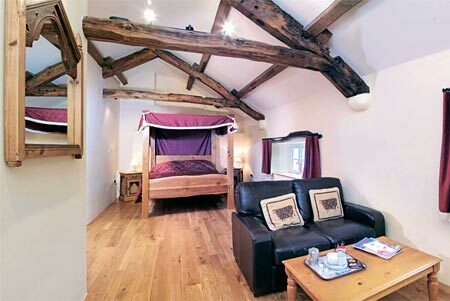 Cruck 1 King sized room with large comfy bed, light and high vaulted ceiling with ancient oak timbers. Window overlooks the fells. Comfy sofa, tv, radio alarm clock and hairdryer. Solid oak floor with underfloor heating. En-suite shower room also with old beams, basin, wc, mirror with shaver point. Hay Loft Ideal family room with unusual layout. 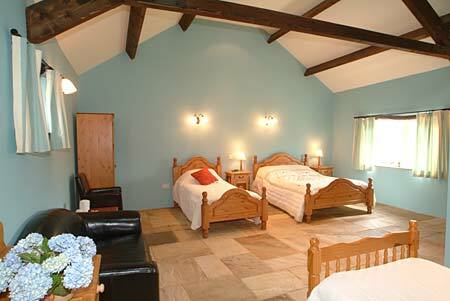 Double bed in spacious room with ancient exposed timbers in vaulted ceiling. Solid oak floors with underfloor heating. 2 single beds in walk-through annex at right angles to main room. Comfy arm chairs, tv, radio clock alarm and hairdryer. En-suite bathroom with quaint old window, bath, overhead shower, basin, wc, mirror with shaver point. Swallow Loft Bright, character-filled room with 2 single beds. Exposed oak beams next door to the loft area allocated specifically for the nesting swallows each summer. Comfy easy chairs, tv, radio alarm clock and hairdryer. Solid oak floors with underfloor heating. En-suite bright bathroom with bath and overhead shower, basin, wc, and mirror with shaver point. 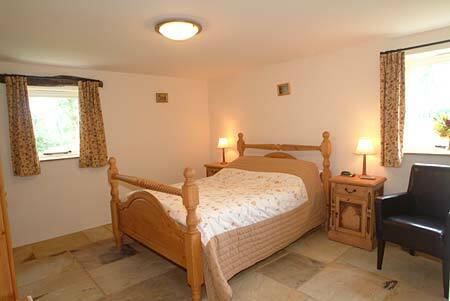 The Old Stable Large bright double room with stone floor and underfloor heating. 2 comfy easy chairs, tv, radio alarm clock and hairdryer. En-suite bathroom with bath and overhead shower, basin wc and mirror and shaver point. 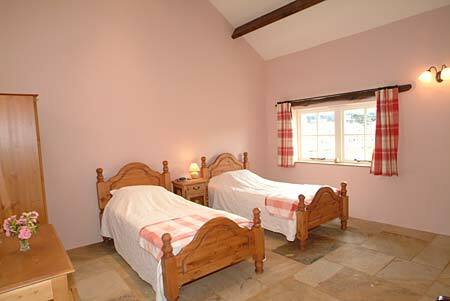 Stable 1 Bright double room with stone floor and underfloor heating. One window overlooks the Vale of Lorton. 2 comfy easy chairs. TV, radio alarm clock and hairdryer. En-suite shower room with walk-in overhead shower, basin and wc, easy access. Mirror with shaver point. 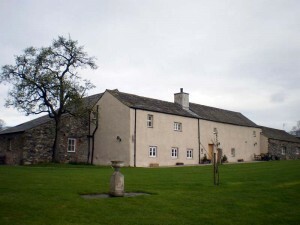 Stable 2 Bright double room with 2 windows overlooking the fells. 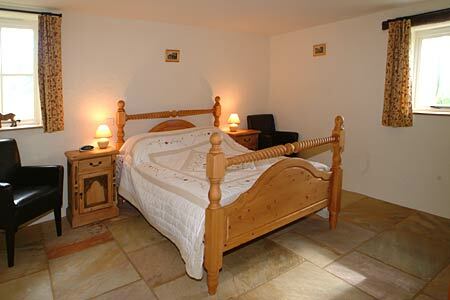 Stone floors with underfloor heating, 2 comfy easy chairs, tv, radio alarm clock and hairdryer. En-suite shower room with walk-in overhead shower, basin, wc, easy access and mirror with shaver point. Byre 1 Large bright triple bedroom suitable for wheelchairs. Vaulted ceiling with exposed beams and stone floor with underfloor heating. Magnificent view of the fells from large window, 2 easy chairs, tv, radio alarm clock and hairdryer. En-suite shower room designed for wheelchair access, walk-in shower, basin, wc and mirror with shaver point. Byre 2 Very large and bright family room designed with wheelchair access. Double bed and 2 single beds. Vaulted ceiling with exposed beams, stone floor with underfloor heating and a big window with superb view overlooking the fells. Comfy sofa and 2 easy chairs, tv, radio alarm clock and hairdryer. En-suite shower room with walk-in shower designed for wheelchair access, basin, wc and mirror with shaver point. Bed and breakfast is catered for at certain times. Please call for availability.